At DiMase Architects we love Pre-Design! 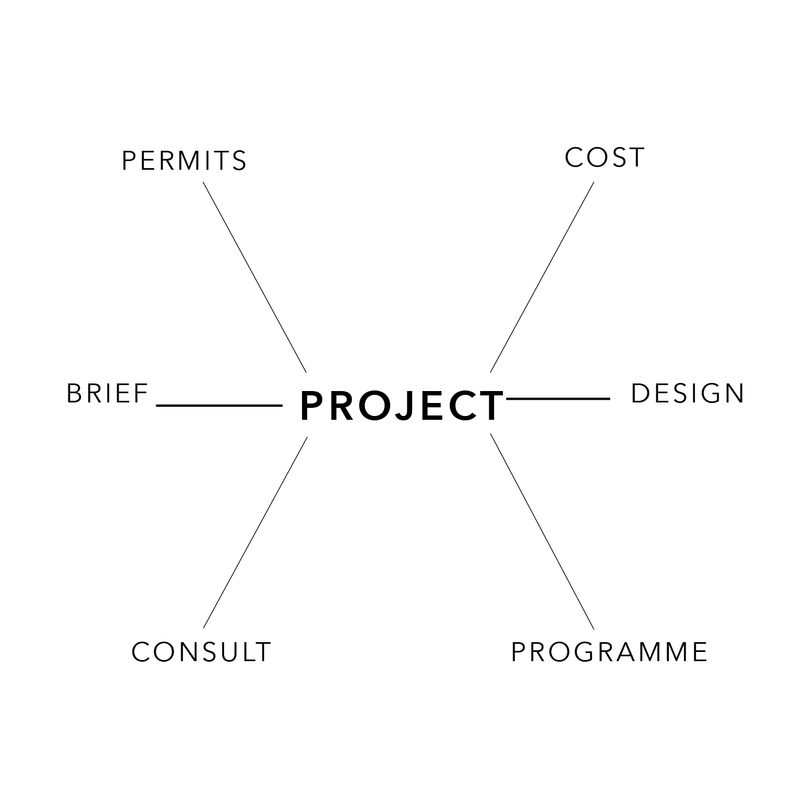 Pre-Design refers to the collaborative process in which the client and architect discuss the beginnings of a project and the ways in which they plan to move forward. What are the client needs? Where are the views and where does the light come through? What restrictions are there on my site? What environment standards do I wish/need to attain? We believe that it is extremely important to address these questions as soon as possible, as an initial discussion with an architect may result in a change of direction with the build or perhaps even with your architect. At DiMase Architects we uphold the understanding and teamwork of our clients at the upmost importance. We believe that if the design process is clear then the clients can wholeheartedly engage in the collaborative process. Our design process takes a project from an idea to a tangible place that meets the clients’ expectations. With each project we develop a project specific project template that outlines the process that we need to undertake. The matrix of deliverables, consultant input, and regulatory requirements becomes the basis that we deliver services, establish a time program and attribute fees for our services. The project template becomes the way that we can ensure all relevant aspects of the project are being considered at the appropriate time. Design is a creative process that opens up ideas that will eventually lead to the solution that best suits the client and the site. Many factors come into play, such as design ideas, research, regulations, budget and timing. These factors need to be considered and resolved into a project idea that needs to be communicated and tested against the needs of stakeholders before the project can proceed. As projects move from the design phase to construction, the same process of engagement and communication flows through to site meetings and with the contractors and their sub-contractors and it is this co-operative nature that enables our projects to proceed with greater ease and enjoyment for our clients in particular. Pre-Design is such an integral and often overlooked stage of the design process that, when conducted well, results in a far more transparent architect-client relationship, a greater understanding of the project for all and a well sought smooth design and construction process.